Marvelous have put out their first press release for the game, revealing the first batch of new details. 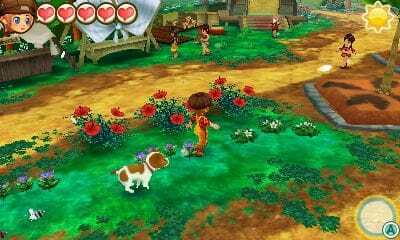 As you could probably guess from the title, Story of Seasons: Good Friends of Three Villages, the game revolves around three villages and their inhabitants, as well as your farm. You will be able to communicate with the inhabitants of each village. 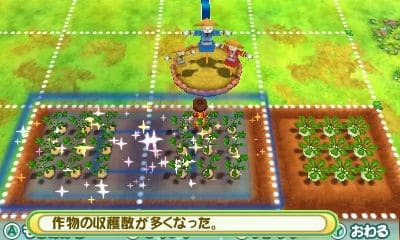 The game adds deeper farming mechanics by allowing you to increase the growth of your crops by constructing buildings, and by arranging these buildings well you can increase the efficiency of your harvest. You can also customize your character by selecting your gender, hair color, facial expression and more. Your lifestyle in the game is effected by the “Type” you choose, as this determines what you are good at. 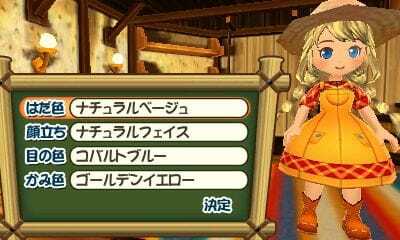 You can also choose a pet in Story of Seasons: Good Friends of Three Villages. Pets can live in your home with you as your “Soul Mate”. 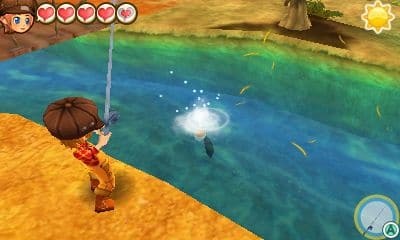 You can also take them to the villages with you and even have them take part in festival events. Beyond working on the farm and caring for your animals, there is plenty more to do in the game, including part-time jobs, festivals, fishing, and more. 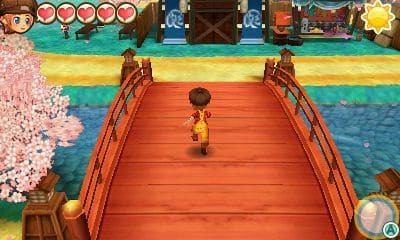 The three villages in Story of Seasons: Good Friends of Three Villages all have their own styles and cultures. Wes Town is a village with a western style. Its street is lined with wooden buildings. It was once a mining town, and traces of that past still exist. 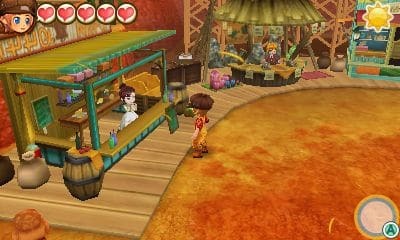 The people of Wes Town are cheerful and friendly. There is also Tsuyukusa Village, a harmonious place with an Oriental theme. It has a vast source of water and an arched bridge over a river. It is also prosperous in paddy farms and cultivated lands. The people in Tsuyukusa Village wear kimonos. 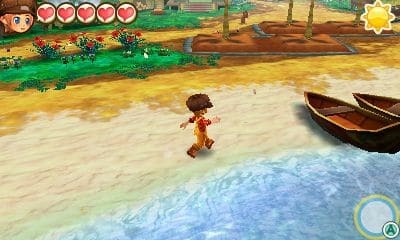 Lulucoco Village is the tropical paradise of the three villages. The beach echoes the soft sound of the waves, and this village is full of tropical fruit and marine products. There also exists a mysterious ruin in this village. The residents of Lulucoco Village wear very colorful ethnic clothing. 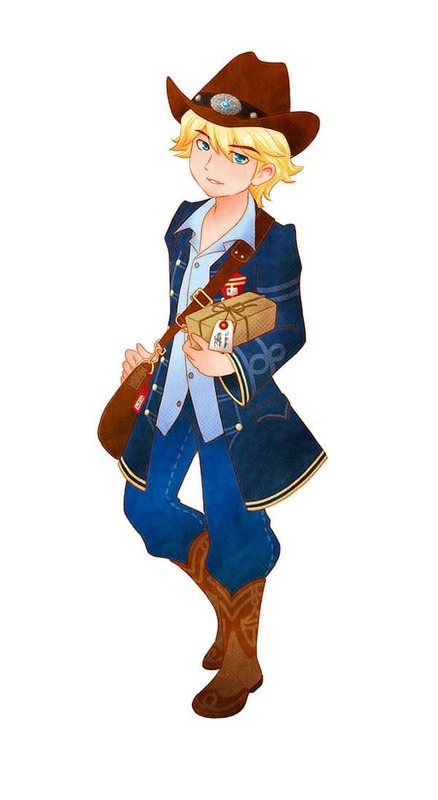 Story of Seasons: Good Friends of Three Villages also has a romantic side. Each of the villages has a number of residents, and if you get along well enough with your favorite partner it could lead to love and marriage, or even children. 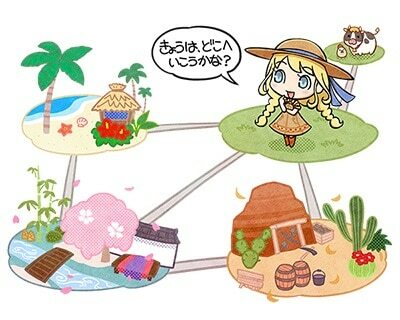 Artwork of two of these residents was revealed. Wayne is a handsome young postman with a buoyant personality. Always smiling, he is a very sociable, friendly fellow. He enjoys teasing others, but he’s also a big brother type, always there whenever people need him. At first, he thinks “it’s rude if you don’t make a move on her” when it comes to the ladies, but his attitude will start to change bit by bit when he meets the (female) protagonist of the game. He has a wide array of activities due to the nature of his job. 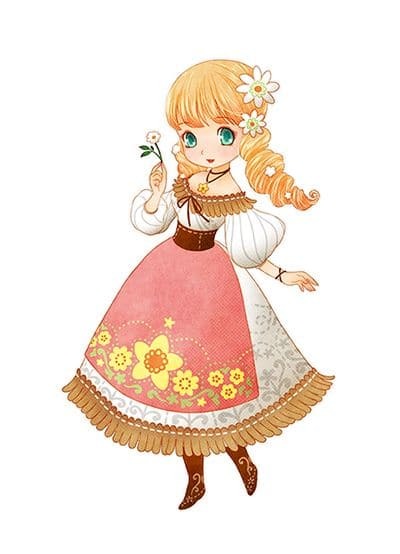 Lichette is a young girl with a bright personality, who works in a flower shop. Having gotten into gardening as a small child thanks to her parents, she has been familiar with plants most of her life. Having grown up in a comfortable home, she can be a bit naive at times. She rarely leaves Wes Town, and spends her free time doing handicrafts, and knitting. Even at her current age, she still enjoys fairy tales.